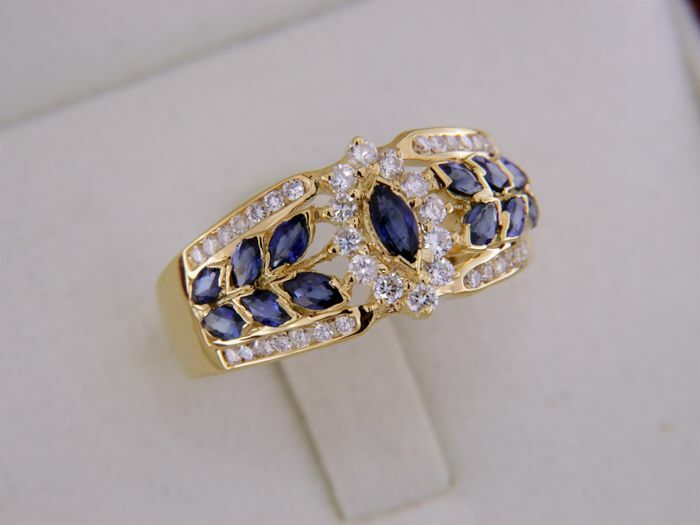 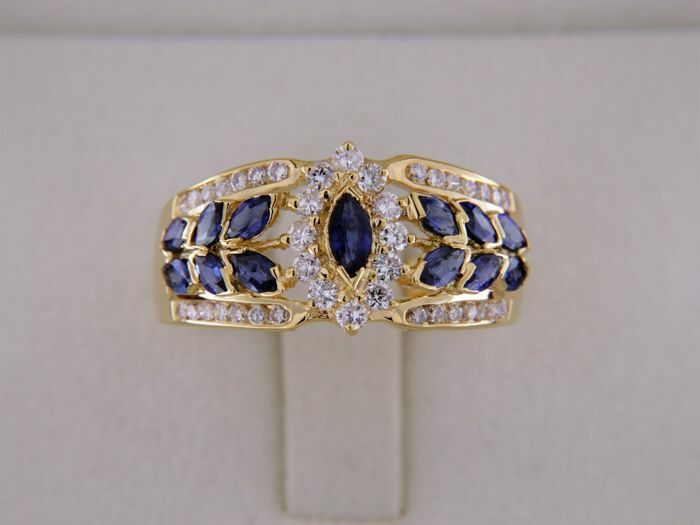 Wonderful ring in 18 kt yellow gold. 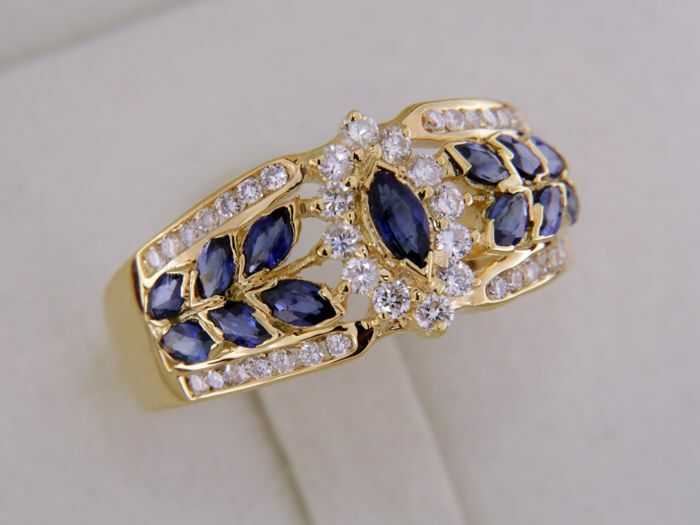 In 18 kt gold, certified by the French "eagle's head" hallmark. 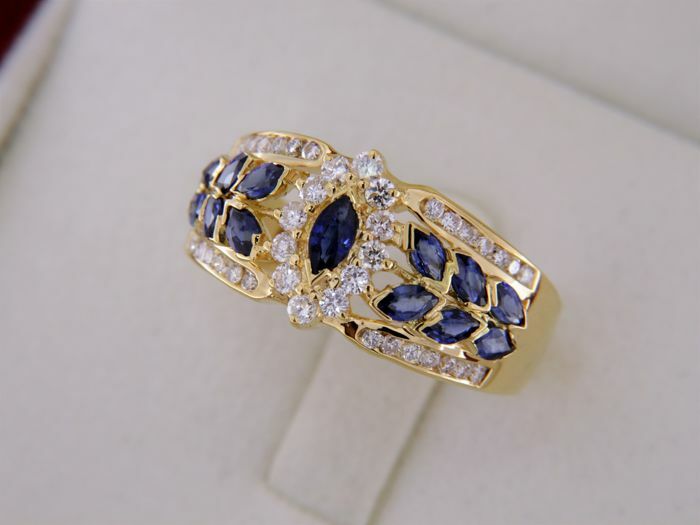 Navette-cut sapphire in the centre surrounded with diamonds. 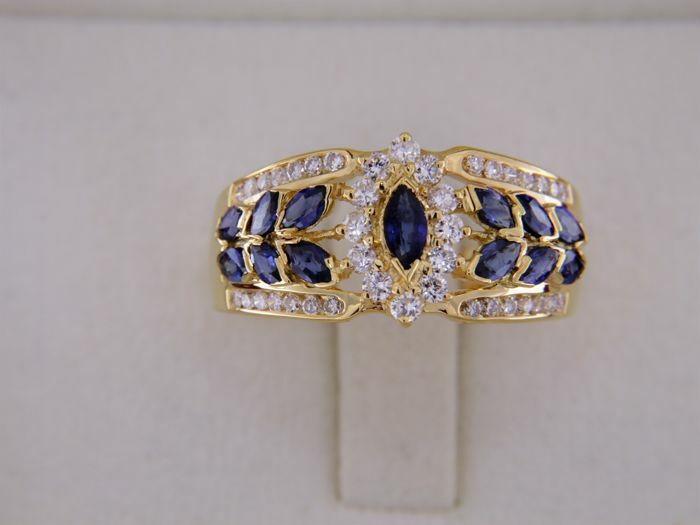 12 marquise-cut sapphires on the sides set in a 'V' (well-protected). 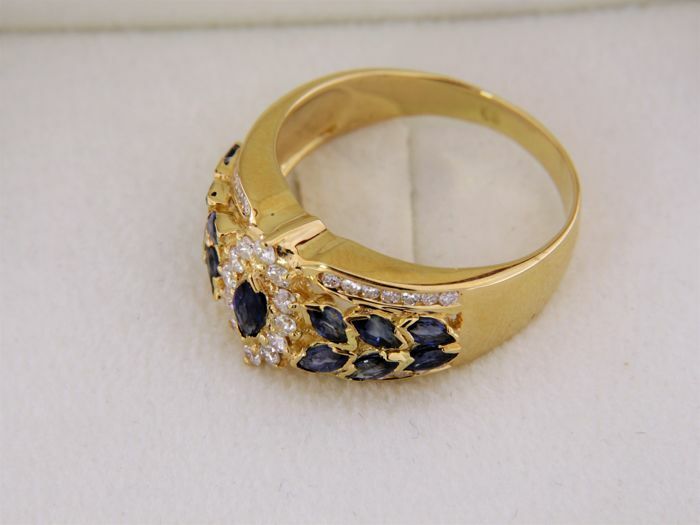 Sapphire weight: 0.98 ct - lovely uniform colour. 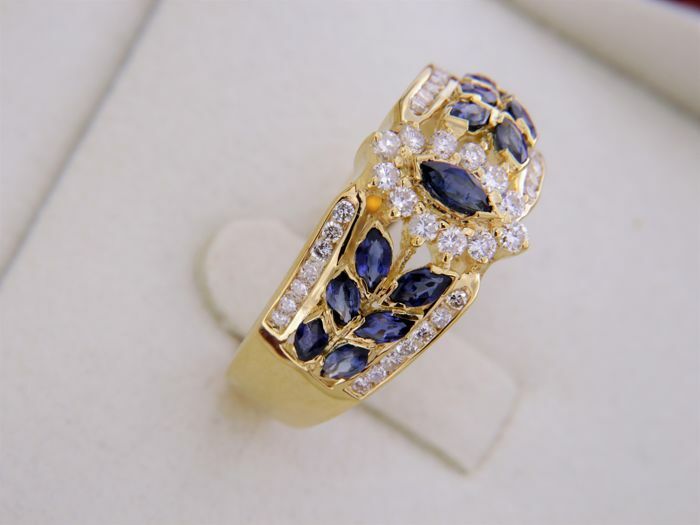 to improve their colour or clarity"
on this item of jewellery's gemstones. 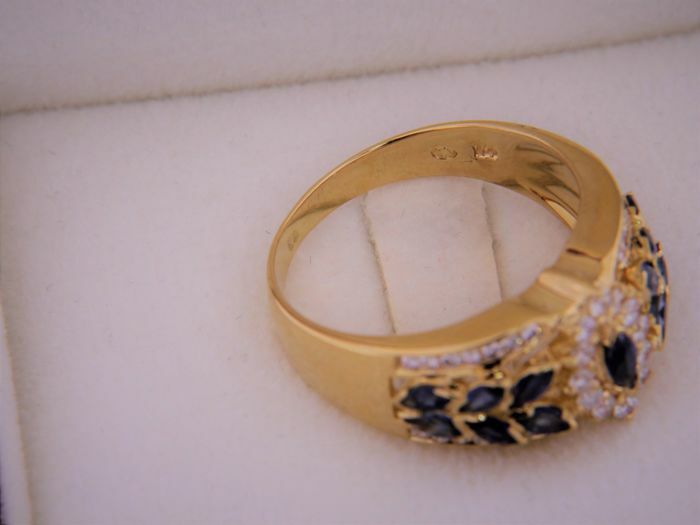 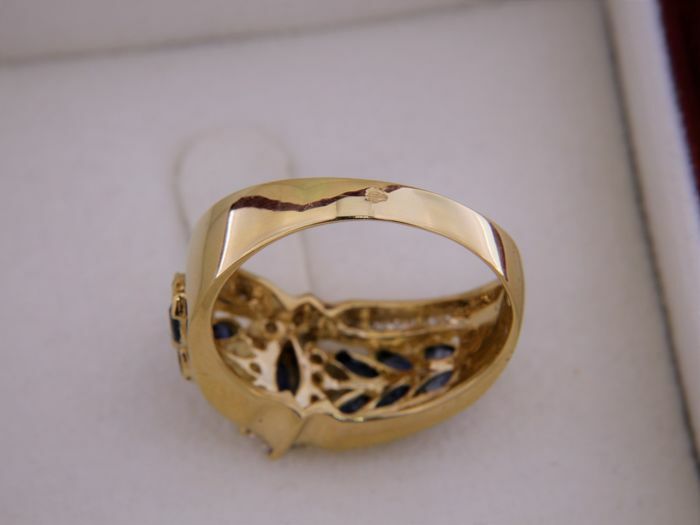 Ring size: 59 – Can be resized.